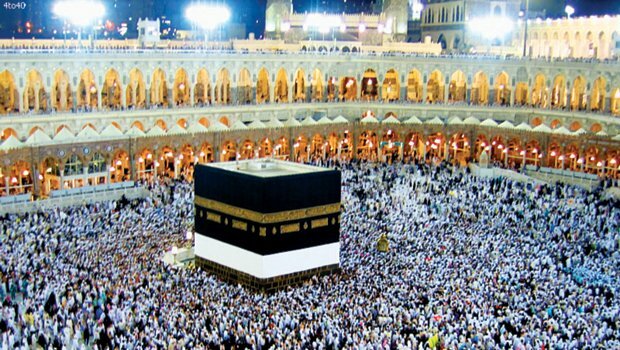 General supervisor of the Kiswa Factory in Makkah Muhammad Al-Quaifili said on Wednesday that the move comes within the framework of this year's Haj plan. Al-Quaifili said the lower part of the kiswa was folded up from the ground by about three meters with a white cloth. The kiswa, which means a cover, has been embroidered in gold and silver and for nearly a century its manufacture has been entrusted to local artisans. Before that it used to come from Egypt. The Kiswa Factory was built about 75 years ago under the orders of King Abdul Aziz, the Kingdom’s founder. A new kiswa is made every year at the factory. “Many people hold tight to the kiswa and may tear the cloth during the process. Some of the pilgrims may cut pieces of the kiswa to take home as souvenirs,” Al-Quaifili said. It is customary every Haj to fold the Kaaba cover up to protect it against tampering by overzealous pilgrims. “We want to keep the kiswa clean and tidy all the time,” Al-Quaifili said. He added that the dress would be lowered down to its old position as soon as the Haj season was over.